Every day six people are murdered in the United States by a spouse or intimate partner. The stories of killer spouses capture the public's attention-we wonder how such normal and seemingly happy people can go over the edge. In every relationship there are 'extreme moments' where scary feelings surface. But what happens when those feelings turn to action? 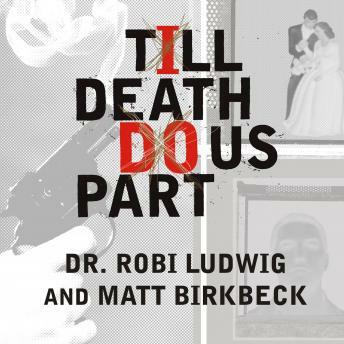 In Till Death Do Us Part, noted psychotherapist Robi Ludwig, along with journalist Matt Birkbeck, answers these troubling questions by identifying ten killer personality types. In her practice, Ludwig has found that within nearly every relationship there are extreme moments where scary and dangerous feelings surface. These are deep feelings and disturbing thoughts we all have yet for the most part never act upon. But when that line crosses over into murder something has gone terribly wrong, and we all ask the same question: How could this have happened?